Jijang-Jeon in Gaeam-sa Temple, The Same and The Different. There was a praying building for the death in Gaeam-sa temple. Unlike other religion, there are separate buildings due to the host of the buildings in Buddhist temple. Jijang-Jeon is a praying building for the death. Jijang is the Bodhisattva who takes in charge of the world of the dead. Jijang-Jeon in Gaeam-sa was quite different from other temples. First of all, the Jijang Bodhisattva statue seemed very unique, because it was a rare case for me to see the stone Jijang Bodhisattva statue. Scholars estimated this statue was made in Goryeo Dynasty. Secondl, Jijang-Jeon in Gaeam-sa was composed of Jijang Bodhisattva and thousands of miniatures of Jiang Bodhisattva. Usually there are 10 kings in Jjang-Jeon, who are presiding over the hells divided by the sins. But in Gaeam-sa temple there were no Kings taking charge of the hells. Jijang Bodhisattva prays for the sinners suffering in the hells. Actually Jijang Bodhisattva was a girl. The she became a Bodhisattva through self cultivation and training. Eventhough she could be a Buddha, she choose remaining as s Bodhisattva to save for the dead in the hell. So it is strange in most case, Jijang Bodhisattva is expressed as a man. I took some photos of Jijang-Jeon in other temple. 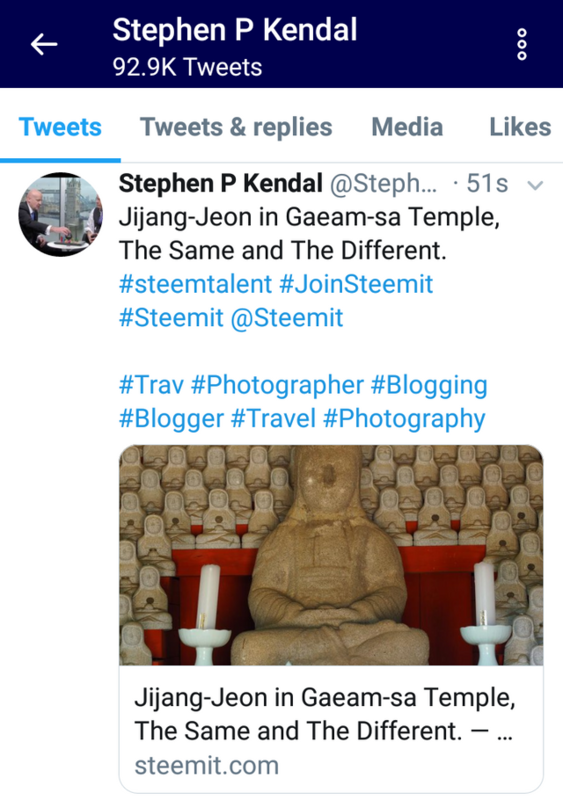 As comparing to Gaeam-sa temple, you can notice the differences easily. Interesting to know and learn about Jijang-Jeon because of praying for the people in hell. In real Christianity we do not pray for the dead, when a person dies his spirit goes to God already that gave it and soon it will be judged if it will go to heaven or hell. It is for the living that we should pray so that he will get saved from hell. I don't know what you mean by 'real' Christianity seeing that for 1600 years before the rise of Protestantism there was a long tradition of praying for the dead in the church. The sola scriptura movement with its various emphases is a comparatively later phenomenon. Here's a post from another steemian who used to share your view and has now changed - https://steemit.com/life/@creatr/do-you-pray-for-the-dead-ruminations-on-god-s-sovereignty-over-time. Some things are not always so cut and dried, my friend. I searched Google about the Goryeo and wow dynasty, I came across the year 918, that statue is from that time, I can not believe how conserved it is, it seems totally new. Between the two temple you can see the difference, one looks more neutral while the other is more colorful, I imagine because one is for the prayer of the dead. I couldn't help but notice that some of miniatures of Jiang Bodhisattva have a hole in their chest??? @slowwalker, Good morning here. Actually I feel various thing after see praying building for the death in Gaeam-sa temple. stone Jijang Bodhisattva statue really inspiration and lucky to see through your assistance. Today very special lesson to me. I known ,more about Korean Buddhism now. Thanks for every contents and impressive photo clicks. Triple gem bless you. This is especially beautiful. I have a few friends planning a trip for October but I can't make it since I have no vacation. Nice photography and explanation. I can only imagine how much time, effort, and craftsmanship went into creating all those figurines, sculptures, and paintings. Fascinating place! @slowwalker WoW, thank you for the lesson :) Love the vibrant colors. The first statue of Djijian-Geon looks much more impressive and, somehow, more seriously. I want one of the Jijang Bodhisattva statues.